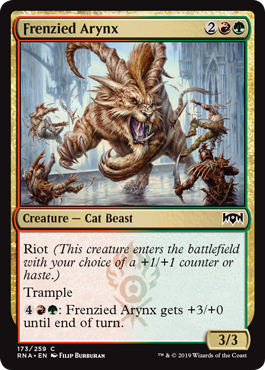 Looks like someone has snuck an Arynx off Tarkir through Ravnica customs, and now the killer kitteh is full grown. 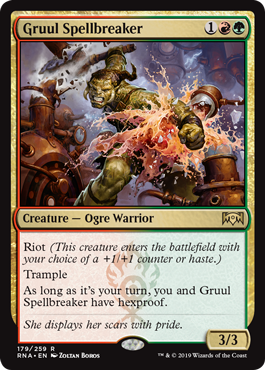 As for Grull Spellbreaker - WOW. 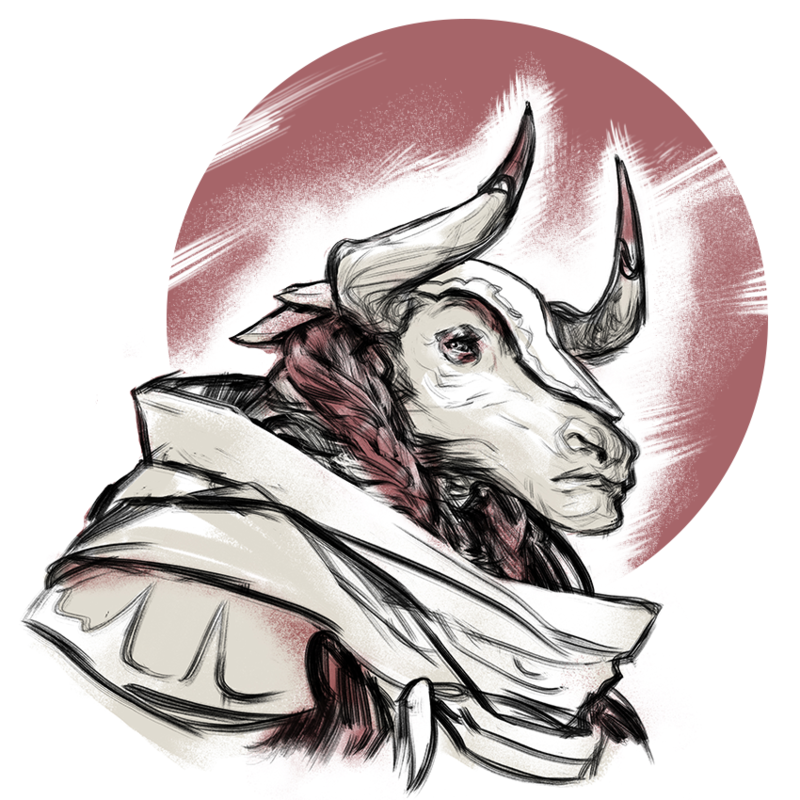 The Riot tech is already pretty damn good with the hasty critters, and then you add trample in the mix, you've got a winner. The conditional hexproof puts this over the top and into our hearts - we want a deck-set. 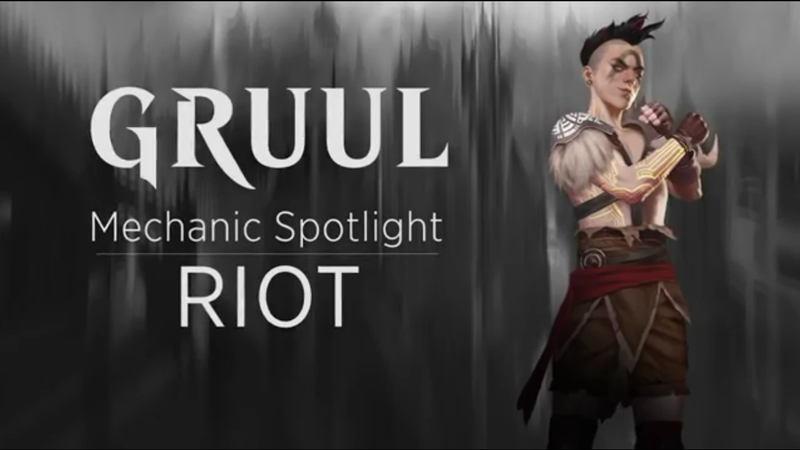 Here are all the Ravnica Allegiance mechanics so far, and to say we're excited to see what Wizards has for Azorius, would be an understatement. 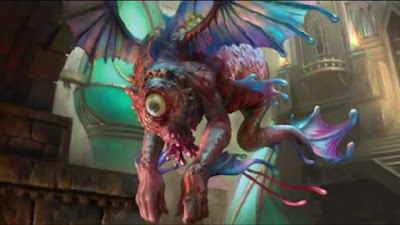 Adapt is a keyword action introduced in Ravnica Allegiance for the Simic Combine. 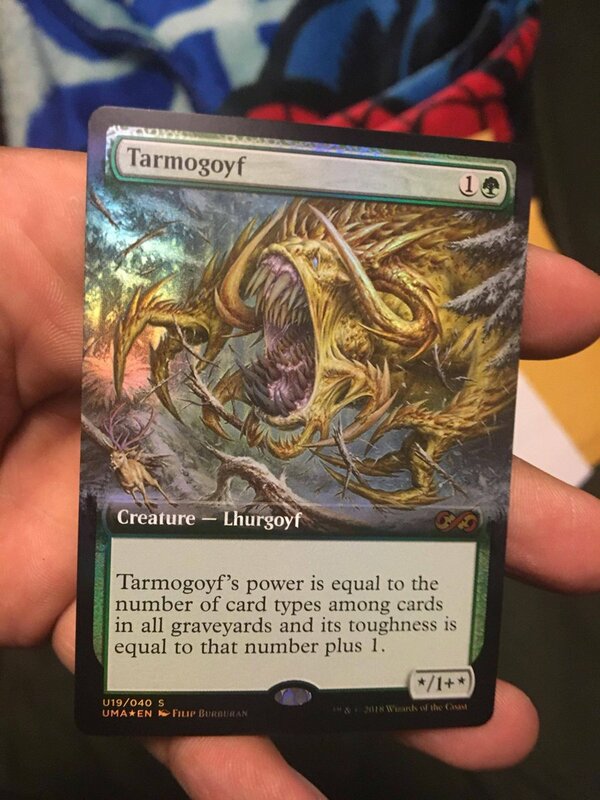 Adapt is 'adapted' version of Monstrous (Monstrosity), from Theros. It always appears as Adapt N. If a creature has no +1/+1 counters on it, you may pay the adapt cost to put N +1/+1 counters on that creature. In contrast to Monstrous, if a creature somehow loses its +1/+1 counters, it can adapt again and pick up more. 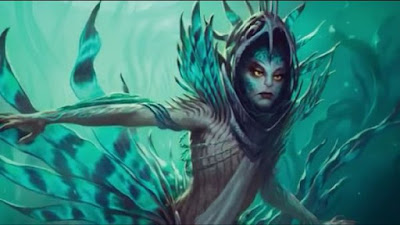 Personally, we did very much enjoy the previous Simic mechanic 'Evolve' which was introducted in Gatecrash. In this particular mechanic, a creature 'evolved' by gaining an additional +1/+1 counter whenever a larger creature (with greater power or toughness) entered the battlefield under your control. 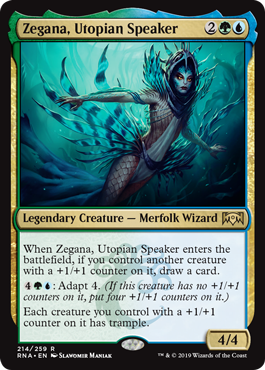 Not only did this provide some Simic-accurate flavour to the card, we thought it played quite well in standard as you cast your creatures 'on-curve' thus beefing out your previously cast critters. Adapt looks interesting but we are not completely sold until we start gaming with this. A keyword ability found on creatures. 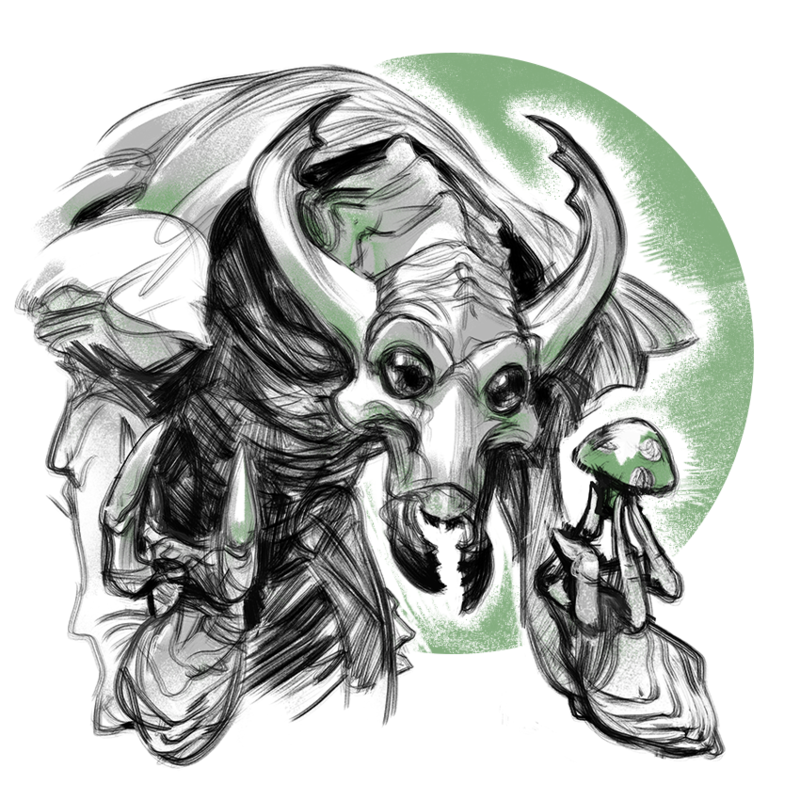 When the creature dies it creates a number of 1/1 black and white Spirit creature token with flying. 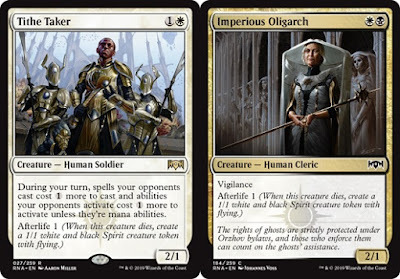 New cards with this mechanic include a human soldier creature Tithe Take, and the human cleric Imperious Oligarch. A keyword ability that gives spells an alternative cost. You can cast a spell for its spectacle cost if an opponent lost life during the turn. New cards with this mechanic include human shaman Rix Maadi Reveler and Rafter Demon. 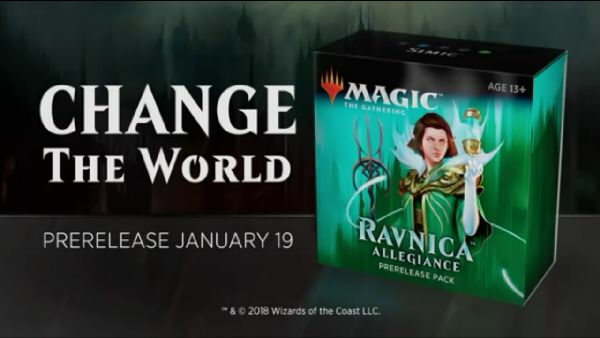 The Rakdos and Simic booster pack arts are yet unconfirmed at this time. Do pop on over to the WotC Ravnica Allegiance card image gallery linked here as new cards are now being posted / previewed. Yesterday there was a post with several Magic: the Gathering spoilers. 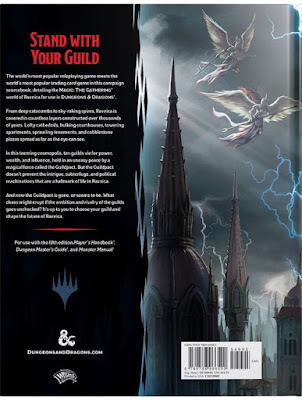 These Ravnica Allegiance leaks appears to be from the same WPN store which had previously posted Guilds of Ravnica spoilers, from their promo card mail out. 1GU: Put a +1/+1 counter on target creature you control. Whenever one ore more +1/+1 counters are put on a creature you control, put that many growth counters on Simic Ascendancy. 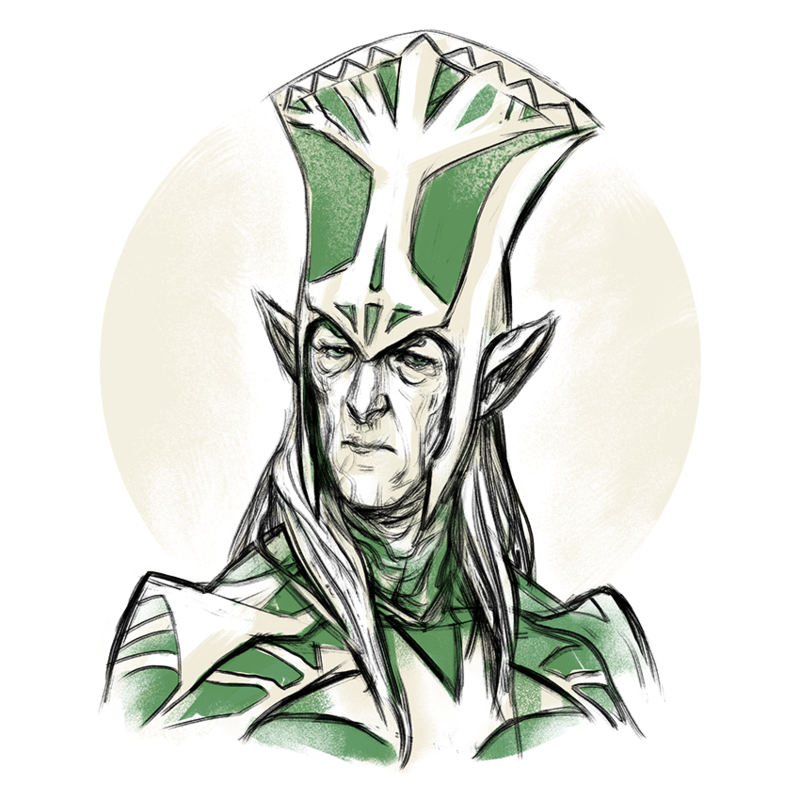 At the beginning of your upkeep, if Simic Ascendancy has twenty or more growth counters on it, you win the game. Flying, lifelink Whenever The Haunt of Hightower attacks, defending player discards a card. Whenever a card is put into an opponent's graveyard from anywhere, put a +1/+1 counter on The Haunt of Hightower. 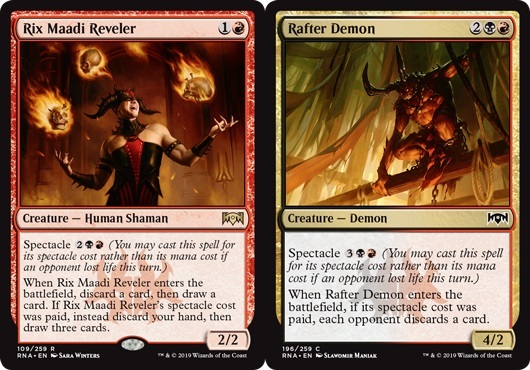 Spectacle - R Exile the top two cards of your library. Until the end of your next turn, you may play those cards. 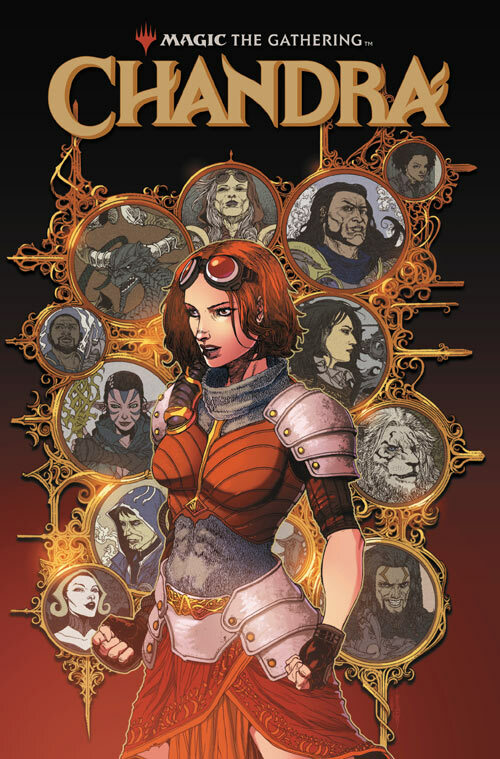 As a complete surprise and very unanticipated, we are to be treated to a new Magic: the Gathering novella. This news from io9 (linked right here) who had broke the news with an official Wizards of the Coast preview of the new work title "Children of the Nameless", penned by the popular author Brandon Sanderson. Since the day she was born, Tacenda has been both blessed and cursed. Blessed by a powerful protection spell of unknown origin, she has warded her family and friends against any number of horrors over her 15 years. Cursed because the horrors which visit her small Kessig village are both numerous and frequent. Then, one night, for no reason she can fathom, her sacred song of protection fails. Seeking revenge on the man she believes responsible for the failure and the consequent destruction of everything she loves, she breaks into the manor of the local lord, a known consorter with demons. There she discovers the beginnings of an even greater mystery… starting with the fact the Lord of the Manor is anything but local . 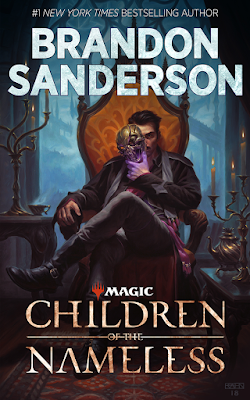 . .
Children of the Nameless will be available for free download starting tomorrow (December12, 2018) from the Magic: the Gathering website. 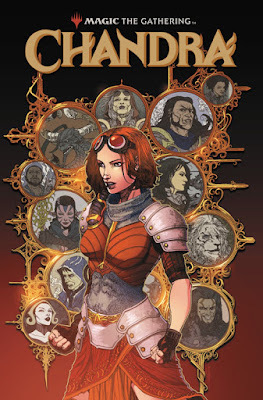 Until then, we can enjoy this very lovely (and intriguing) cover, illustrated by Chris Rahn. First chapter was a good read and left us in anticipation of reading all of the subsequent chapters. 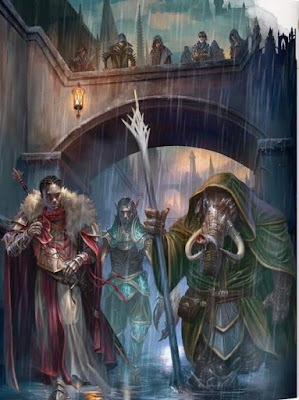 Looking past our new Planeswalker Davriel, who we assume is sitting, the gravity-defying towers, halls, and massive buttresses suggest Markov Manor, at a time before a certain Lithomancer (Nahiri) 'redecorated'. The seated party does indeed appear human, and this is suggest again with what appears to be a nice hot tea to his right. The whole Phantom of the Opera thingy with his mask is very mysterious at the moment - and is he hiding the right side of his face ? 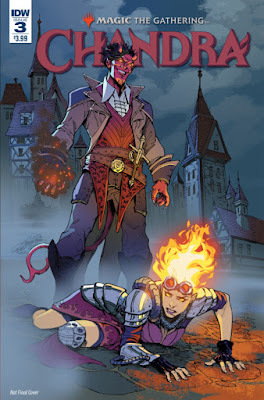 Perhaps not - but the mask does have a particular purple 'Liliana' necromancer magic haze around it. This purple could very well be the type of magic that allows Kaya (the Ghost Assassin) to flow into the incorporeal world. All that is known for certain is that 'Whisperers' had de-peopled the village save Tacenda in the first chapter and that it is suggested in the blurb that a visit to the nearby Monor House is in order. Insert Kessig Province Problems hashtag. 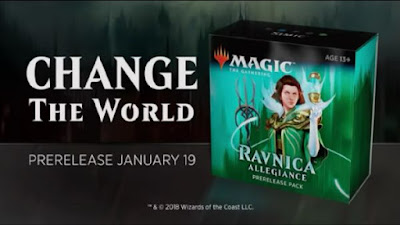 We should like to yatter a bit about the very real possibility of the Planeswalker character Kaya appearing as a card in the next Magic: the Gathering set 'Ravnica Allegiance'. 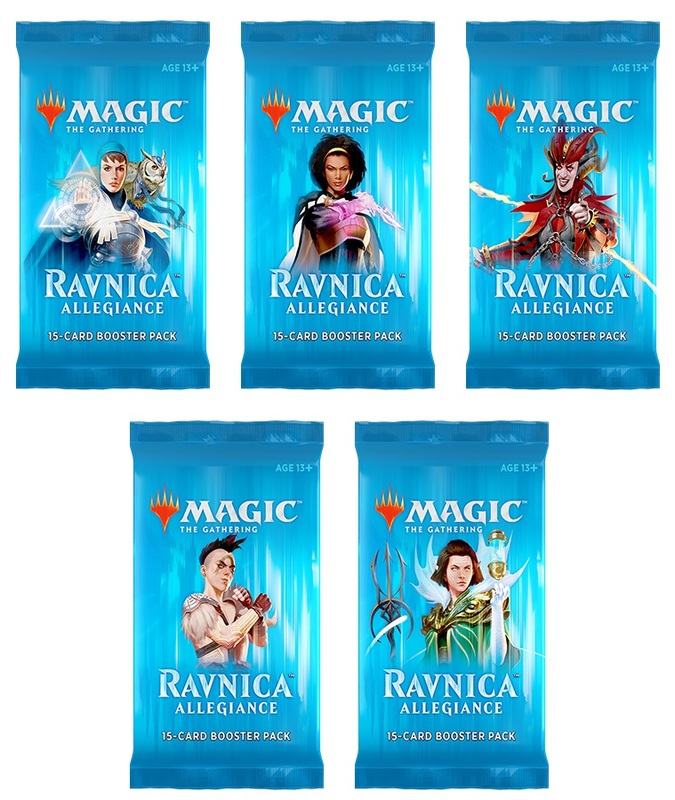 This set features five of the bi-colored Ravnican guilds: Azorius (white / blue), Rakdos (black / red), Gruul (red / green), Simic (green / blue), and Orzhov (white / black) and is to release on January 25, 2019. 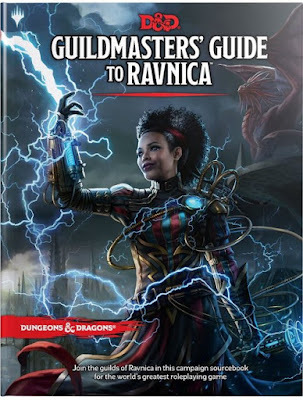 One of the first hints we saw was the cover of the 2019 Ravnica novel (to be published in April 2019), the first major paper novel in about eight years from author Greg Weisman. The blurb describes the story of Chandra Nalaar, Jace Beleren, and Gideon Jura pitted against Bolas and his relentless army of Eternals. 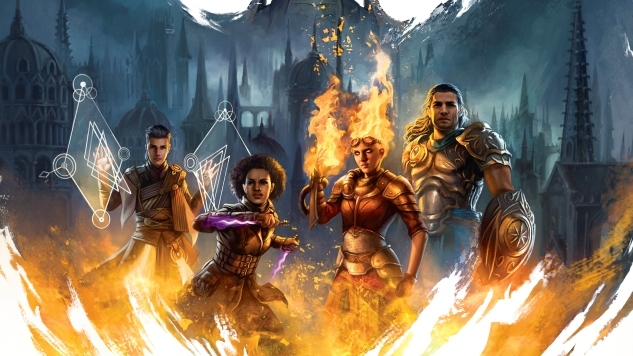 The cover does show Gids and Chandra alongside an unkown (new) Planeswalker and what appears to be Kaya. Our next hint was rather obvious. 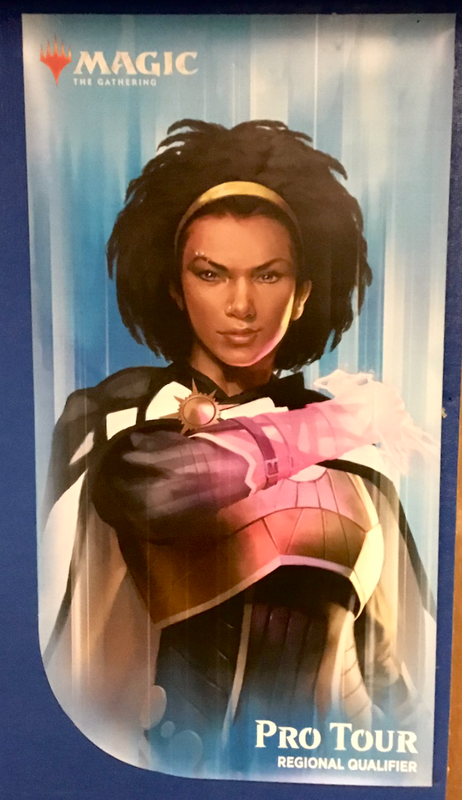 This was from the recent Pro Tour in the form of a very lovely looking 'Top 16' playmat from Ultra PRO. 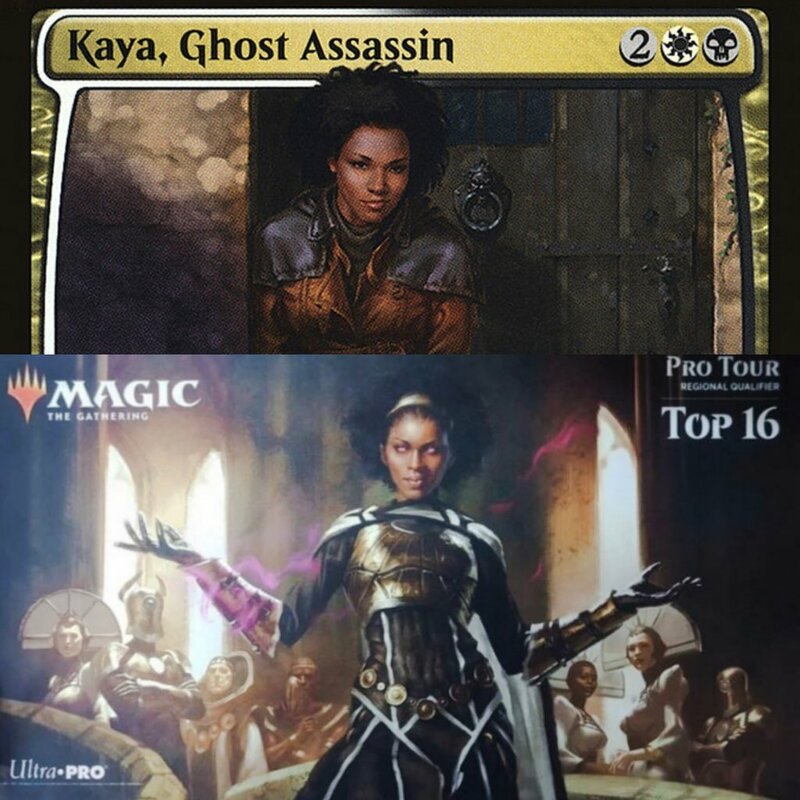 This shows quite undeniably Kaya, framed with the powerful upper echelon of the Orzhov Syndicate. What is noticeably absent here are any of the members of the 'Ghost Council'. 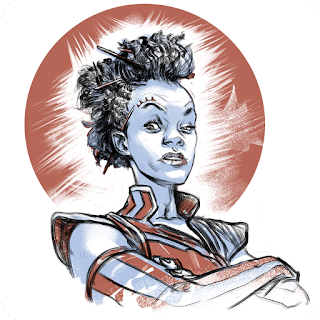 From the Fiora storyline, we know her to be an Assassin of Ghosts - so not much stretch of the imagination as to what may have happened. But how did we get here ? This is pure speculation. We know that a big showdown between the malevolent Bolas and the Gatewatch is to take place on Ravnica. 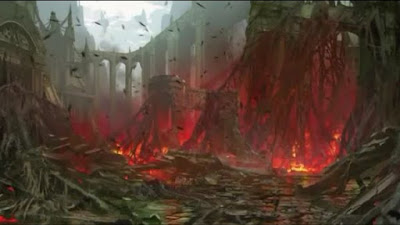 Bolas wants the Guilds to fall in line behind him, and those which do not, he needs to destroy or at least destabilize. Ghosts, such as Brago (the King Eternal) are difficult to deal with or destroy, and the Orzhov do have a good number of these spirits. 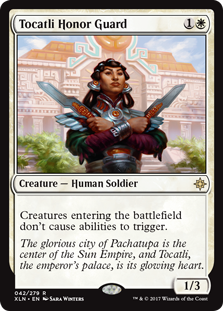 To this end, it does sound reasonable that Bolas employs Kaya to remove these bothersome spirits. We assume that Kaya does this effectively and then perhaps realizes the evil despot that Bolas is and joins the Gatewatch crew as suggested by the novel cover. 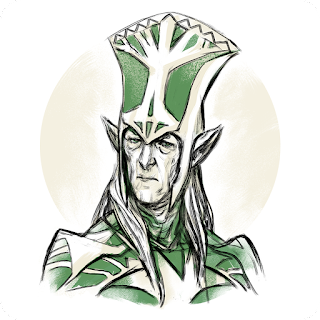 incorporeal powers suggest that one ability is to be able to exile the card (phased out from the game) and then return. As for the other abilities, please do suggest with a comment below. Two ravens had perched upon our shoulder and whispered in our ear that Wizards of the Coast may be giving thought of creating a set, in the not too distant future, on a new Plane of Existence with a Norse mythology theme. There is little argument that Norse Mythology has been witnessing something of a surge in interest with production of movies, television shows and books illuminating characters from the Viking pantheon. We will admit that the History Channel series 'The Vikings' and the movies 'The 13th Warrior' (Antonio Banderas) and Marvel's 'Thor' (Chris Hemsworth) had stoked our interest enough to learn more about the myths. • 'based upon' themes must be offered a wide license to develop, and create their environment, without being bound by the details of the originator. Exampli gratis - Wōtan's eye sacrificed at the Mímisbrunnr well may be lost another way or not lost at all. • Snorri Sturluson (1179 - 1241), when not drunk and soaking in his hot-tub at Reykholt, recorded the bulk of what we know about the myths in the Gylfaginning and we would not consider his sagas and poems to be a realistic / accurate witness. In a similar vein, the story of Beowulf was passed down through oral tradition prior to being finally recorded in manuscript, so an argument for a preciseness to detail is a non-starter. 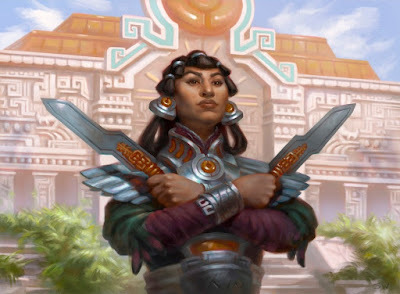 It may be a very well traveled road as Wizards has already created some 23 'God' cards for Theros (Greek Mythology) and Amonkhet (Ancient Egyptian Mythology). 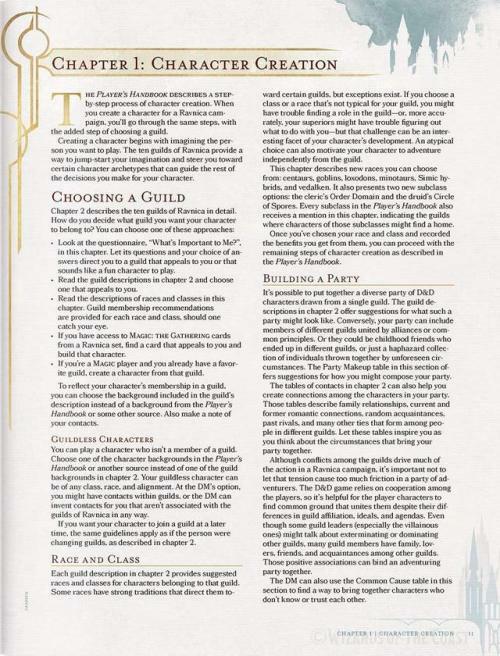 The challenge is to select which figures, whether gods, heroes or beasts to employ and then which of Magic's five colours to have these painted. 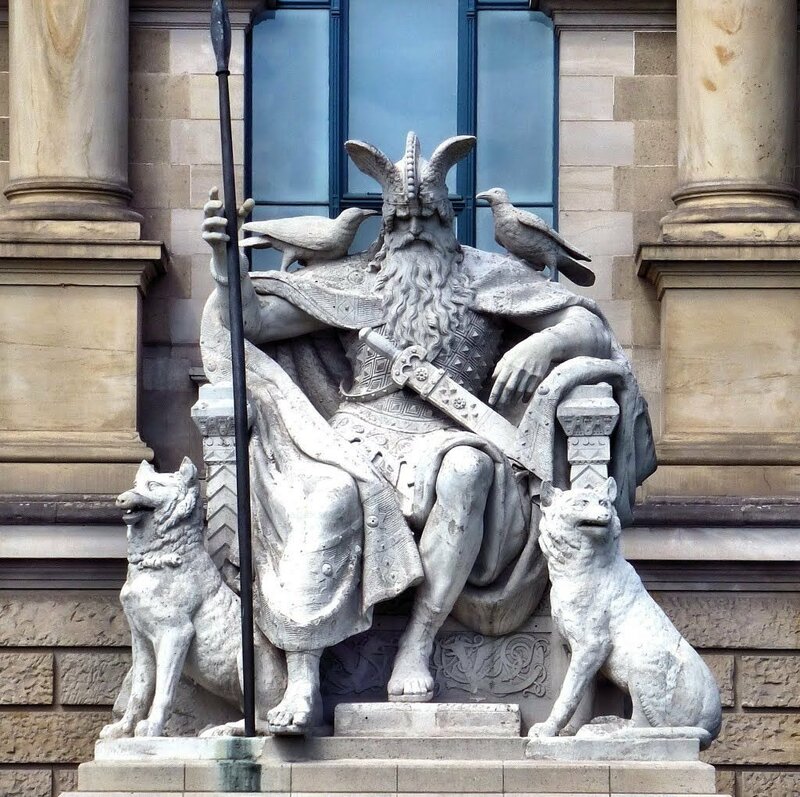 We will have a go using Odin, who may be associated with battle, death, knowledge / wisdom , and sorcery (among numerous other attributes) may be considered as having demonstrating almost all of the five colours of Magic: the Gathering. For this we would need to limit to perhaps one or two (White or Blue perhaps?). The two ravens which serve Odin Huginn (Mind) and Muninn (Memory) fly over Jörmungrund every day gathering information for Odin which they relay each evening, so having an 'Enter the Battlefield' effect of this 'god' creature two bird creature tokens seems natural. The two Wolves Freki (Greedy) and Geri (Ravenous) which are also associated with Odin may be presented in an associated sorcery which generates two 2/2 Wolf tokens, again, not too unreasonable. 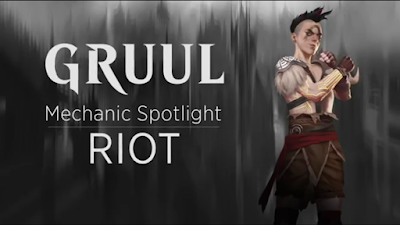 To apply static abilities and other details such as mana cost is quite beyond our skill, so we will just simply wait for Magic game developers to bring it all together. 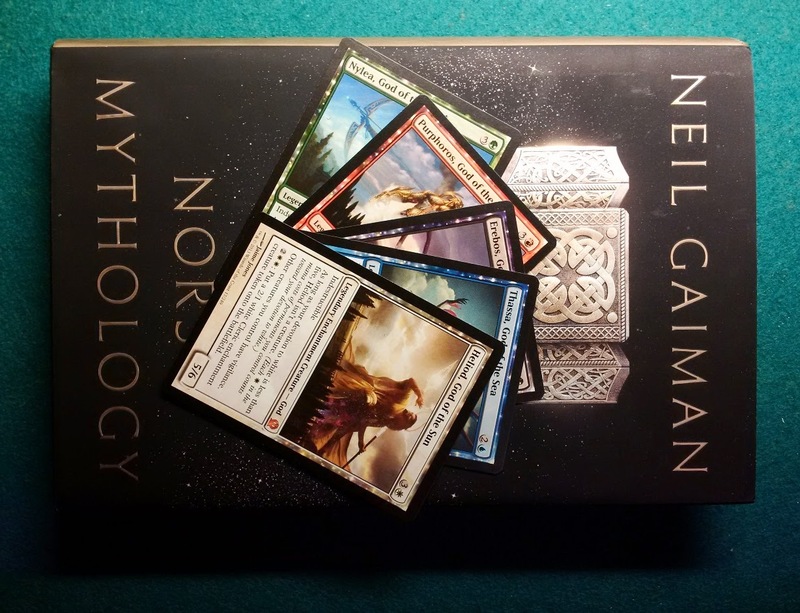 The Norse mythology is deep, rich and able to supply numerous stories to adapt to a Magic: the Gathering set. The Guilds of Ravnica Story arc, penned by author Nicky Drayden concluded with the fifth and final installment, covering all five Guilds featured in this latest Magic: the Gathering set. 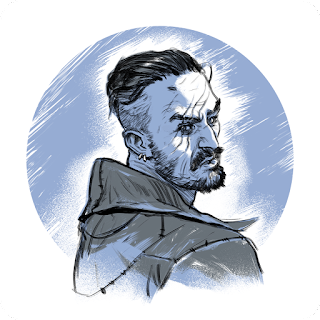 Here are the handy links to each of these great episodes along with the subjective first-person character in brackets and the excellent sketches of that character from artist Wesley Burt. Wizards of the Coast indicates that Magic Story will continue in early December. Today we have a mish-mash variety of Magic: the Gathering related items for your scrolling here at MTG Realm. 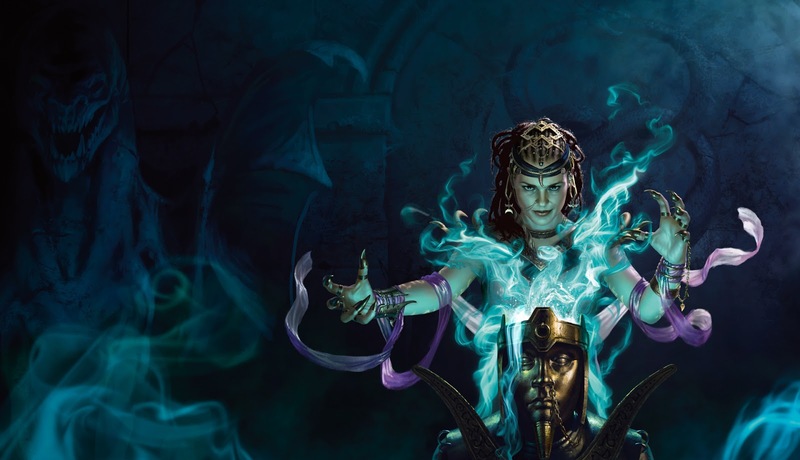 Kicking off today is the Pro Tour Guilds of Ravnica in Atlanta, Georgia with a prize pool of $250,000 and the winner walking away with $50,000. The format starts with booster draft and standard constructed following. You may check out the coverage at this link. 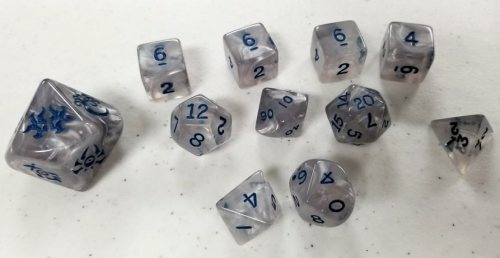 If you are heading out to your friendly local gaming store here in Central Ontario (and obviously other parts of Canada), do mind the weather / traffic - as it is heavily snowing right now. If you find yourself in Barrie, Ontario, do drop over to OMG! Games tonight for Friday Night Magic for a chance to score an FNM promo card. MTG GORE ! :: Be Warned - A time long ago when card sleeves were not in use. 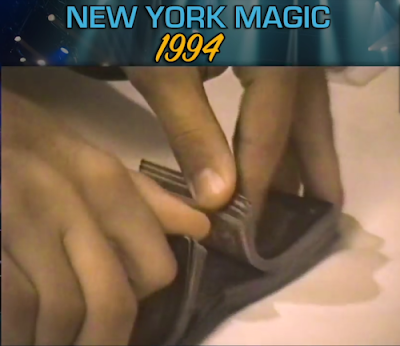 Magic: The Gathering commentator Marshall Sutcliffe had Pro Tour Historian Brian David-Marshall on his MTG Breakdown show back in the summer to show off an amazing piece of game history: video of a Magic tournament from Saturday, November 12, 1994 in the Ball Room at the Roosevelt Hotel in New York City. Video linked right here. One can see mullets, acid-wash jeans, and of course a large number of what is now rather rare and expensive cards. The video was not only very entertaining but informative as well. The ‘Gore’ starts around 16:45 with some riffle / bridge shuffles - THE GOLD - Marshall Sutcliffe‘s reaction … . 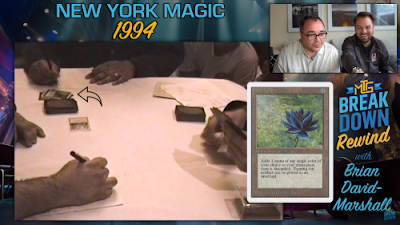 considering that a Black Lotus may have fetched around $20 or $30 bucks back then (if that), now command a price of up to $8,000 (prices obviously very rough). 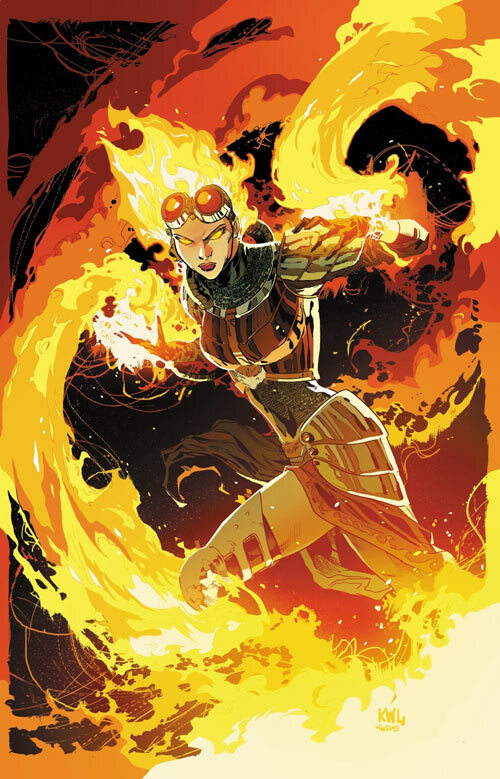 Finally, for us, the amazing Magic: the Gathering card art that Wizards of the Coast commissions is almost as enjoyable as playing the game itself. We were very happy to hear that Gallery 1988 in L.A. had a MTG group art exhibit, which feature numerous works. Also, a Happy Guy Fawkes Day to those who celebrate that event - please ensure appropriate fire safety cautions are taken. 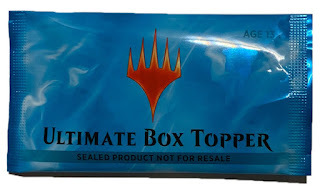 In the follow-up to yesterday's post on the 'Ultimate Box Topper', this is a related post. Announced on Twitch and the Mothersite today, here are the details. 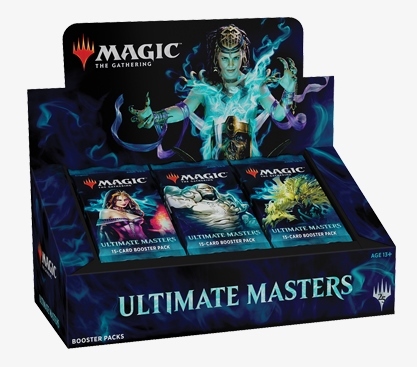 Releasing on December 7, 2018, Ultimate Masters (UMA) brings a host of powerful, sought-after cards - including some of the greatest cards from throughout Magic’s history. There’s forty different box topper cards, and we did our best to make them count. 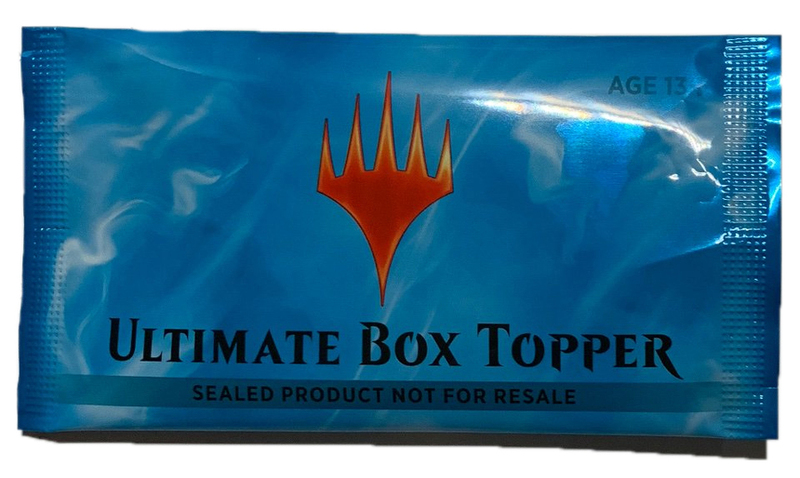 Box toppers include every mythic rare in the set, many of the rares, and two uncommons (Kitchen Finks and Eternal Witness). 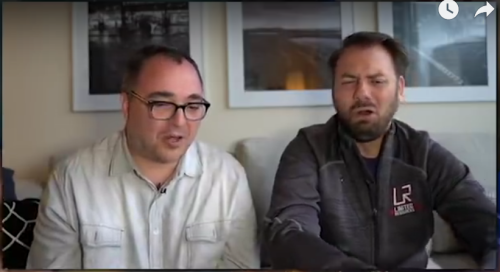 We understand that this is a 'Masters' set, and apparently from the Twitch video posted by WotC (Blake and Steve), this may be the last. We anticipate some push back from the Magic: the Gathering fan community, mostly regarding the price, and do share the concern. 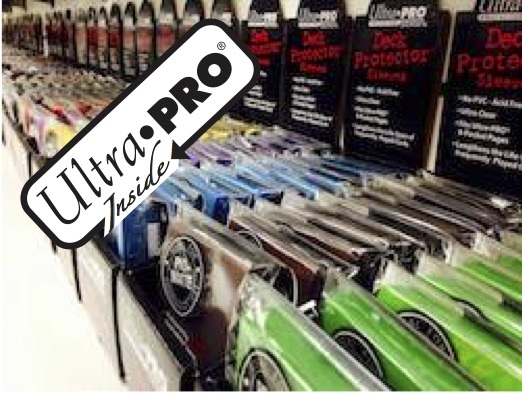 Anecdotal discussion indicates that in some areas where similar product has been distributed to the so-called Big Box stores, that these similar items are now priced on clearance to move. Thankfully, Wizards indicates that Ultimate Masters are to be released to proper WPN stores which face a highly competitive environment against the large retailers. 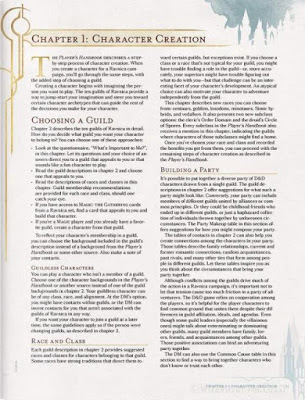 As we have stated before, without the bricks-and-mortar stores, the roots of the MTG gaming community is at risk. As for the price, we think the market will hopefully self-regulate - (1) much-needed reprints versus (2) the appetite to absorb the cost to acquire those. Something very to report to Magic: the Gathering fans who had purchased the Guilds of Ravnica Mythic Edition product through the Hasbro Toy Shop, a short while ago. 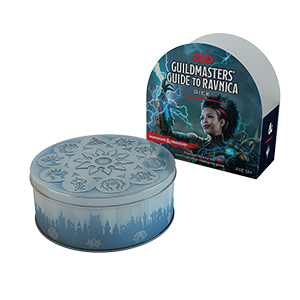 This one-off product was a booster box of 24 packs, ideal for drafting and contained a guarantee of eight sough-after special mythic foil masterpiece cards. There was considerable issues with the online point of sale website which was widely reported which generated a deal of criticism. The first reports of letters with an mysterious booster pack started being posted on Friday by individuals who had purchased the above-detailed Mythic Edition product. 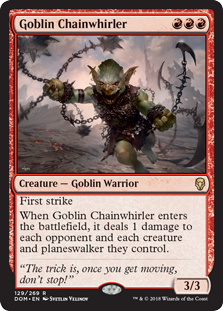 * New alternate art for this release.